Android apps marketed as appropriate for young children engage in a host of questionable advertising practices, including enticing children under the age of 6 to make purchases, a coalition of watchdogs alleges in a new complaint submitted Tuesday to the Federal Trade Commission. 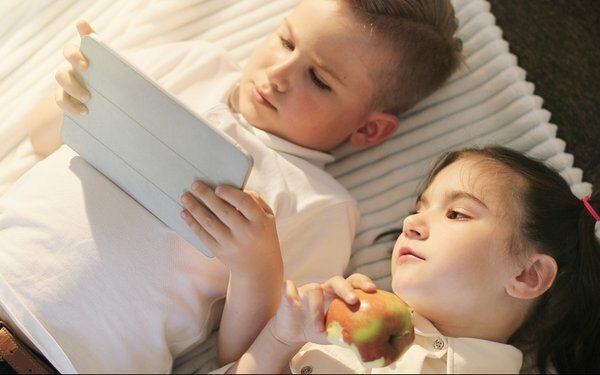 The organizations rely on a new University of Michigan Medical School study, “Advertising in Young Children’s Apps: A Content Analysis,” for which researchers examined 135 Android apps, including 96 of the most popular Android apps aimed at children ages 5 and younger. The vast majority (95%) of the apps were found to contain ads. Nearly half (46%) of all apps studied -- and 67% of the apps available for free -- ran ads prompting users to purchase a more complete version; those versions were touted as either ad-free or allowed users to access more features of the game. Around 30% of all apps studied contained ads for in-app purchases, like tokens used in the games. This technique is deceptive, the Campaign for a Commercial-Free Childhood and other groups argue. The watchdogs also say it's deceptive to parents to market apps as free, but then try to convince the young users to upgrade to paid versions or make in-app purchases. “There is nothing in the description of the apps to indicate that the free versions of the apps are just previews, or that it will be difficult or impossible for young children to actually enjoy the game without making in-app purchases,” the organizations write.